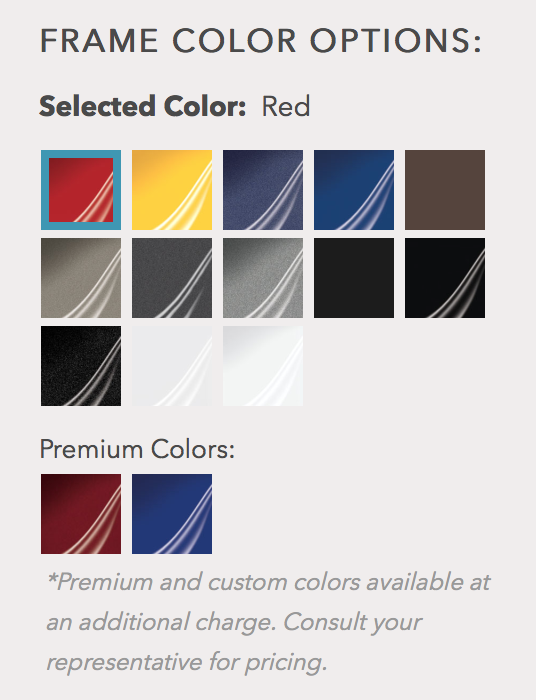 A nearly limitless variety of exercise options in one space. 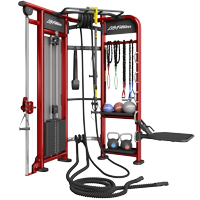 Rooted in the success of SYNRGY360 small group training, the SYNRGY90 system is a shift in contemporary personal training—it provides the structural space trainers need, offers nearly limitless configurability and fits seamlessly in dedicated spaces. The SYNRGY90 Versa Cable allows for a wide range of bodyweight, suspension, rope and free weight training options. It has one Cable Motion station and one u-link adjustment column, which allows for the attachment of platforms, dip handles and more. Each SYNRGY90 unit is an extremely efficient training tool. 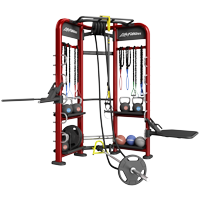 Made specifically for its holistic approach to contemporary training techniques—it takes traditional cable-motion capabilities and allows trainers or exercisers to add bodyweight, suspension, rope and pivot training. You choose how the SYNRGY90 unit is built and configured to best suit the needs of your facility, trainers or exercisers. 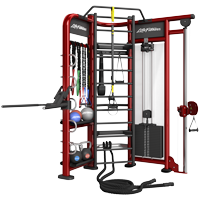 The SYNRGY90 system offers dynamic personal training combinations that make it fundamental to any well-rounded facility. 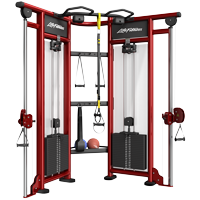 The SYNRGY90 system is perfect for small spaces and corner pockets in your facility. It is unintimidating and offers a dedicated area for individual or personal training.